You can’t control who you fall in love with, but you can control what you do with those feelings. The dialogue in this tale was so much fun. Unicorns see the world in ways that humans can barely even imagine. These differences showed up almost immediately, and they brought a smile to my lips on more than one occasion. 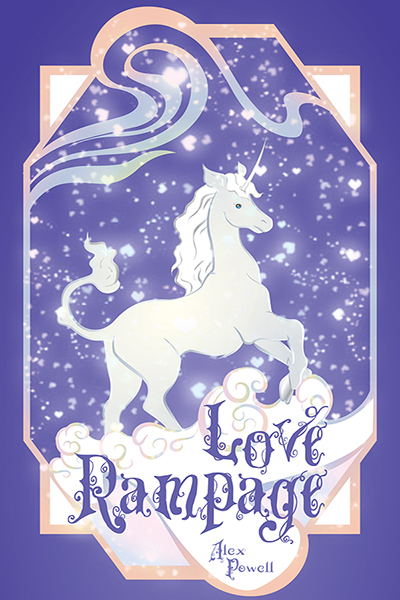 The unicorn actually turned out to be my favorite character of all in this book due to all of the zany things that tend to happen to people who meet them. Discussing specific examples of what happened would lead this review too far into spoiler territory, but suffice it to say that anything can and does happen when one of these creatures shows up! I would have liked to see more character development. Maira was a fascinating protagonist whose physical features were described in detail, but I had trouble picking up on what kind of personality she has. Knowing if she’s generally shy, gregarious, talkative, or something else entirely would have made it really easy for me to give this story a much higher rating. There’s something to be said for falling in love with a good friend. The romance in this piece was just as prominent as the science fiction themes, but neither genre ever overpowered the other one. What made it even more interesting, though, were the positive messages sprinkled throughout the plot. I wasn’t expecting them, but they worked quite well with all of the other themes. Love Rampage is a good choice for anyone who likes romantic science fiction.